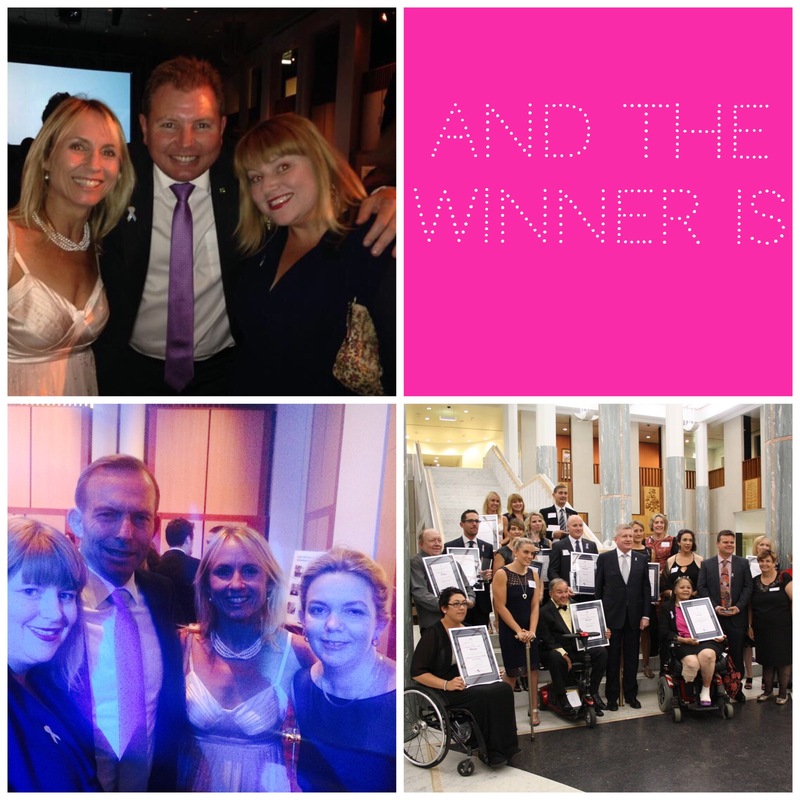 On Tuesday night we frocked up and headed to our nation’s capital for the ARIAs of the disability world: the National Disability Awards. Surrounded by inspiring organisations and individuals, we took our seats and nervously waited for our category “Inclusive and Accessible Communities” to be announced. It was a great shock and honour when Touched by Olivia was called out by Senator Mitch Fifield. We are so thrilled to be nominated and recognised for our work to make Australia more inclusive. You can read all about the event and the other winners here.